Now that we’re deep into the dog days of summer, doesn’t the very idea of nomming down a hot slice heaped with stomach-bombing meats kind of make you shudder? 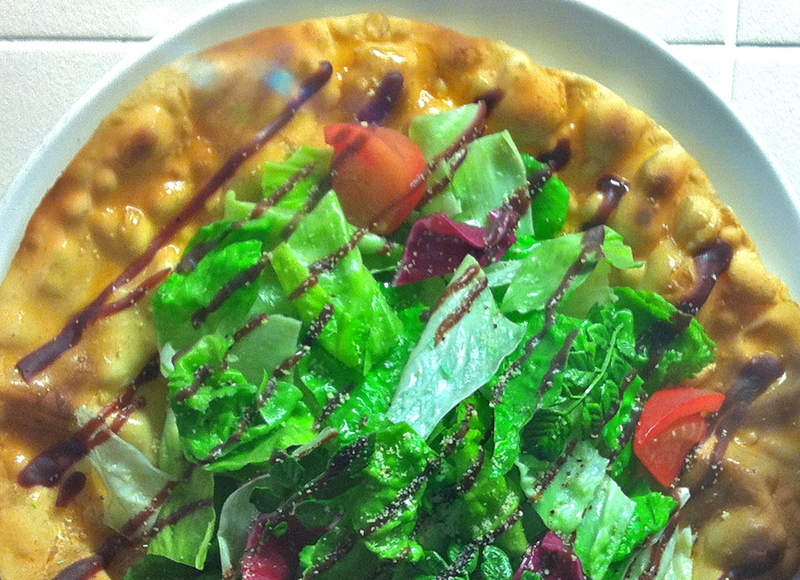 Enter…the Salad Pizza! Sure to please the ever-dieting bikini wearers as well as the lone vegetarian throwing a wrench into the Friday night beer fest, this little beauty features no cheese, no tomato sauce, no meat – just lettuce, tomato and balsamic vinaigrette on a crispy pizza crust. Make mine a double!